Situated around 10 miles north of the Scottish border on the east coast, St Abbs Head offers exceptional diving in a Voluntary Marine Reserve. The geographic position of the Marine Reserve means that it benefits from a flow of Atlantic water entering the North Sea around the northern tip of Scotland but also from a cooler Arctic influence. 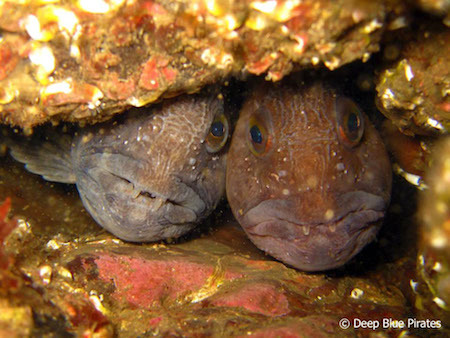 This results in a diverse mix of marine species from both cold and relatively warm water. For instance, the Devonshire cup coral, which is very common on western shores is found here in small numbers but probably does not exist much further south in the North Sea. Similarly, species such as the beautiful Bolocera anemone and the Wolf-fish are primarily Arctic species but they are found off the Berwickshire coast in good numbers. 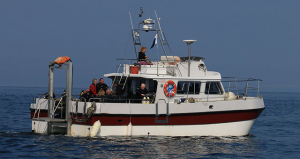 Every month we run a 2 dive trip out of Eyemouth on Wavedancer operated by Billy Aitchison at Dive-Stay, who can arrange accommodation at the Home Arms if you require to stay over. 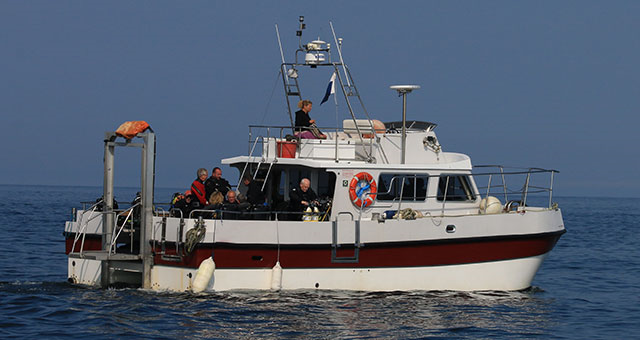 The boat leaves at 09:00 and returns around 13:00, All equipment and tanks are loaded for both dives and it is best to have your Drysuit on for departure as you may get wet during the cruise to St Abbs Head. Tea and coffee are available onboard, bring a snack for between dives. The boat leaves at 09:00 and returns around 13:00.